This is undoubtedly the easiest and fastest way to get vegetable carbs and lean protein. I often use this as a grab and go snack, but in spending a few more minutes, I can make a sit-down meal of it! If you're low on protein, this is your go-to! 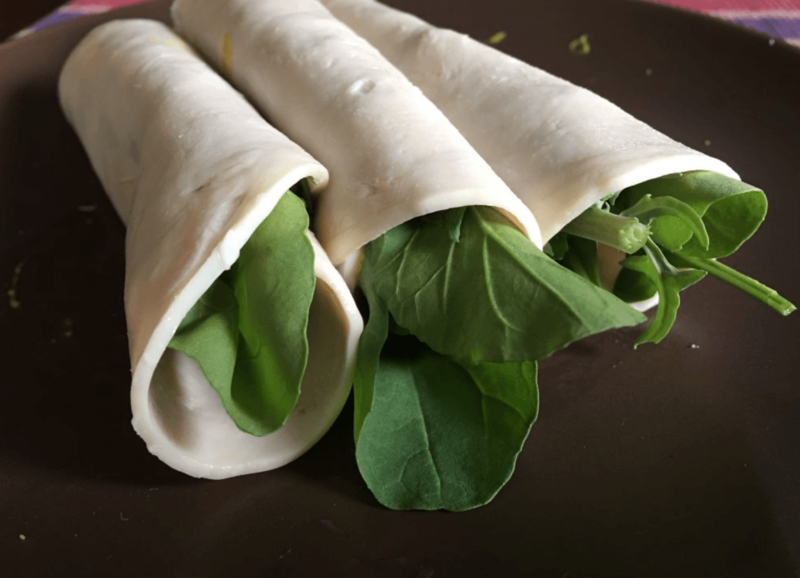 Take sliced turkey, spread a bit of mustard across it, add your favorite greens (I use arugula and other spicy greens) on top and roll. Seriously. That is all there is to it. To make a meal out of it, cut thin strips of cucumber, red onion, red pepper and other veggies you enjoy and pile on. You'll need a toothpick to keep it rolled. If fat isn't of concern, add hummus or feta and step it up to a well-balanced macros meal.